Join us in this little Paradise! Run away from routine and put yourself first! Breath in and breath out! Yoga & surf retreat holidays in the wonderful Natural Park on the SW Algarve, in Portugal. 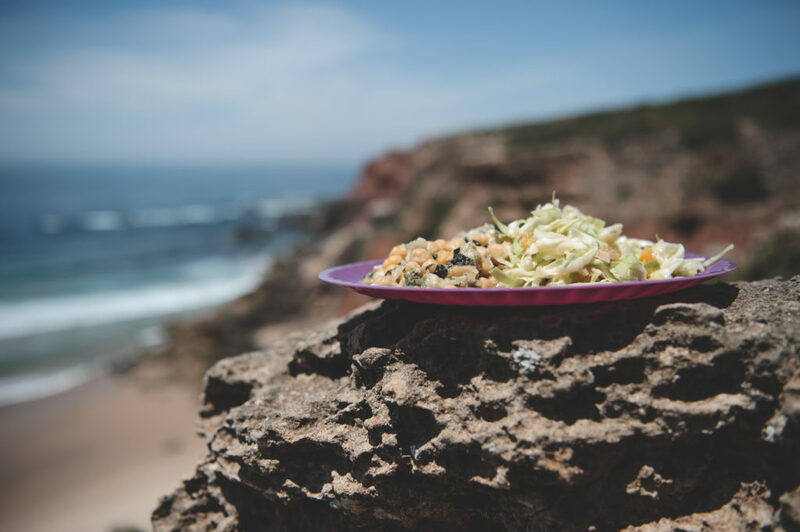 A wonderful combination of Surf and Yoga sessions in Sagres with a taste of nature and healthy food to rejuvenate and relax – all in a 4 * design hotel in Sagres! Check out below all of the most amazing ways to enjoy a retreat with us! A week of relaxing, training and recharging your mind and body. Develop a healthy, peaceful and content state of being and learn some practical ideas for daily life to stay happy and healthy! 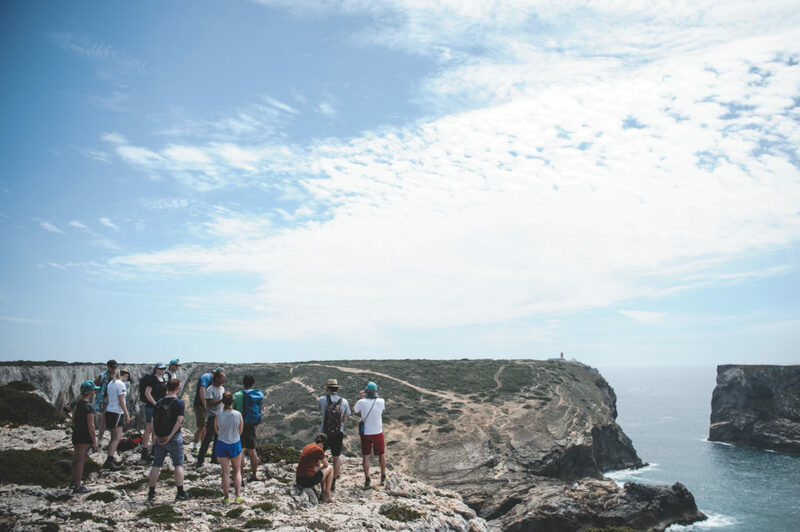 Get deep into nature along the amazing hiking through the Atlantic coast of the Algarve and connect fully with the ocean during the surfing experience! Stay in one of the most beautiful luxury hotels of Portugal with all the comfort you’ll need to relax after the daily activities of the retreat. Treat yourself with the best after surfing at the SPA of the Hotel and sleep in the most comfortable beds in town overlooking the Ocean! More then just a Yoga holiday, this is a week to relaxing, enjoying and connecting with your true Self and Nature, through yoga, surf, hiking & mediation in a beautiful place! For more information check our surf&yoga retreats at pfmyoga.com. FROM 999,00€ per person – these prices change depending on time of year and type of accommodation. This week will be provided by 3 hosts. 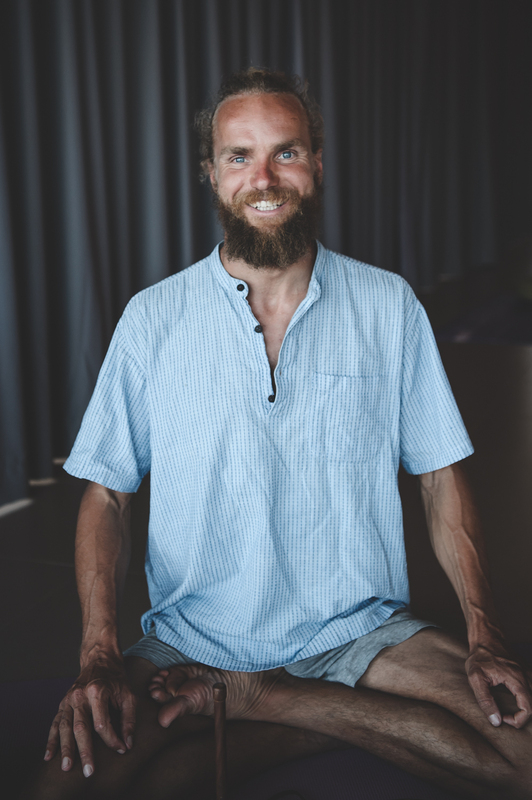 Michaël Bijker is a passionate teacher with a 800Hr Yoga Alliance a yoga therapy certification from Paramanand yoga insitute in India. 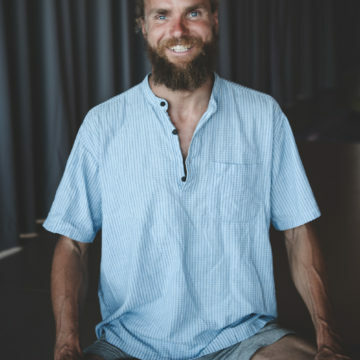 He will be conducting the yoga sessions (mainly sivananda hatha yoga and Iyangar) and Qigong classes and exercises that you’ll be attending during this beautiful week of reconnecting with your body, your mind and the Nature. Marta Mealha is a certificate Surf coach from Portuguses Surf Federation and she’s been teaching since 2002. 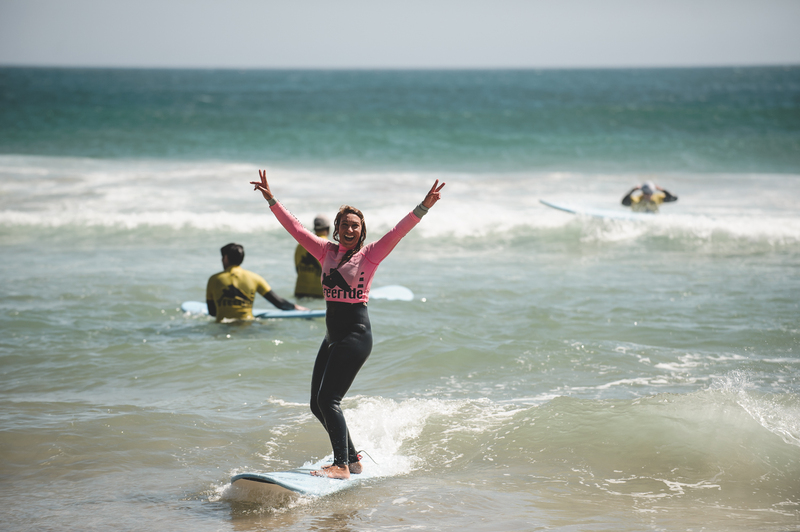 She has set her surf school in Sagres in 2002 along with her brother João Mealha to fulfill her dream of living next to the Ocean and being able to share her surfing passion with everyone. She was born in the Algarve and has been teaching for over 10 years. She also has a passion for yoga and integrates this in her surf classes. With a wide experience and knowledge of the local surf breaks she will be the best person to get you in touch with the ocean and help you enjoy the purest form of surfing – with your body or with a surfboard! 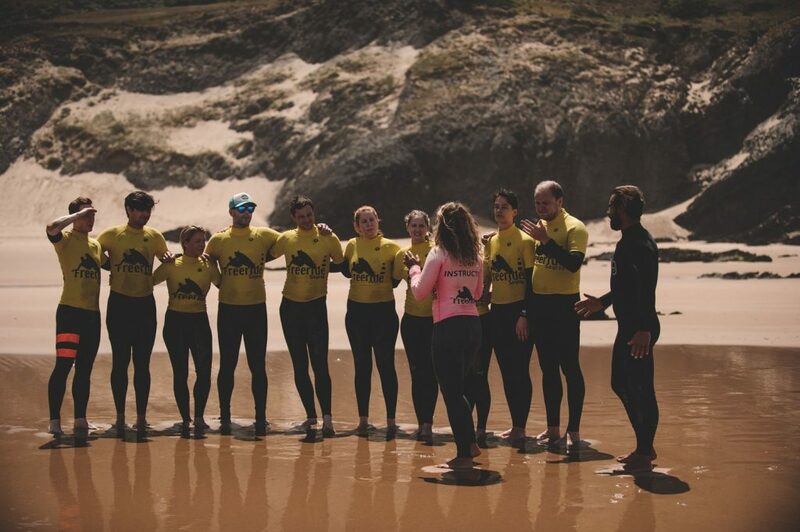 The Surf lessons that Marta Mealha prepared for the students attending to the Pure Flow Motions Retreats have the aim on getting everyone comfortable in the ocean environment and big focus on adapting the technique to everyone needs. 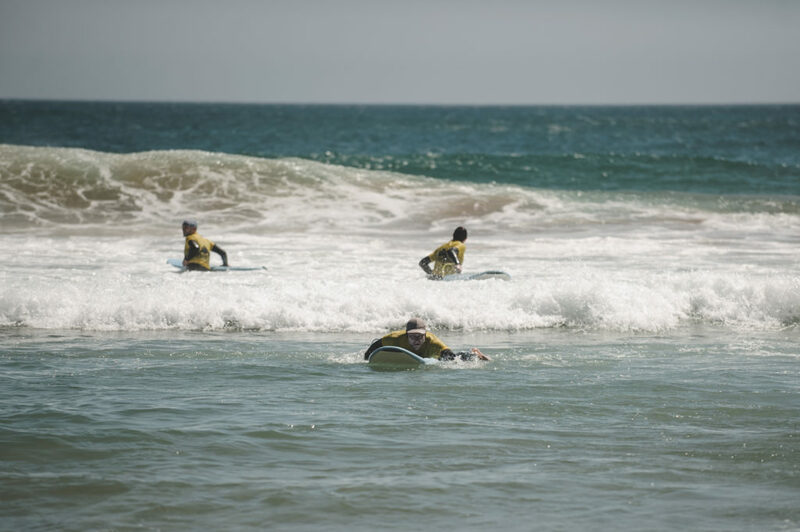 Together with other fellow surf coaches from Freeride Surf School these lessons will provide, most of all, a great ocean experience! For the already skilled surfers there’s also a great plan to get the most out of this surfing days. 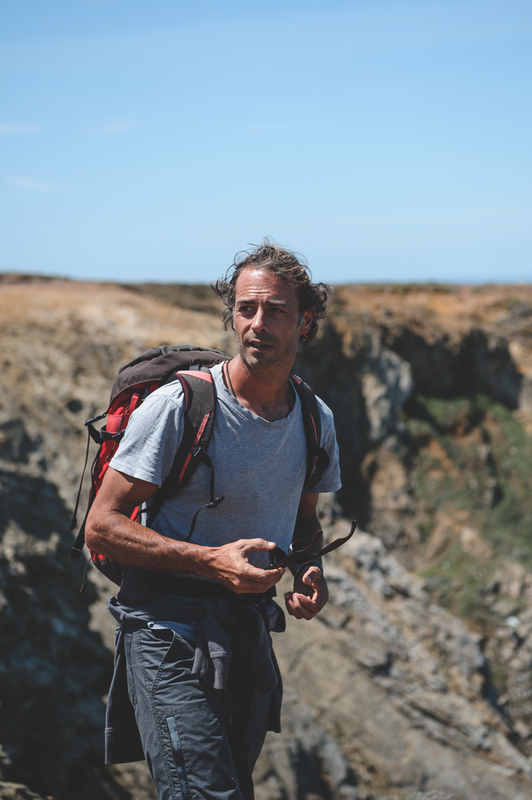 Nicolau from Atalaia Walking will be in charge of guiding you through the amazing landscapes of the Natural Park of Costa Vicentina, during our hiking trips! 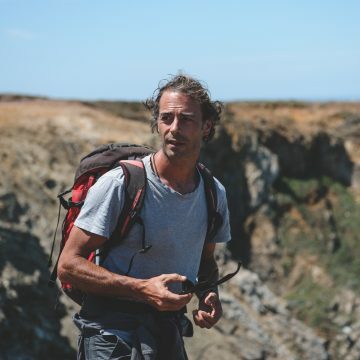 He has great knowledge about the nature and his deep connection with Nature, his local knowledge of this territory and his deep connection with nature makes him the ideal person to guide you through this magnificent landscape. Join our surf & yoga classes. Daily yoga classes overlooking the Atlantic Ocean! 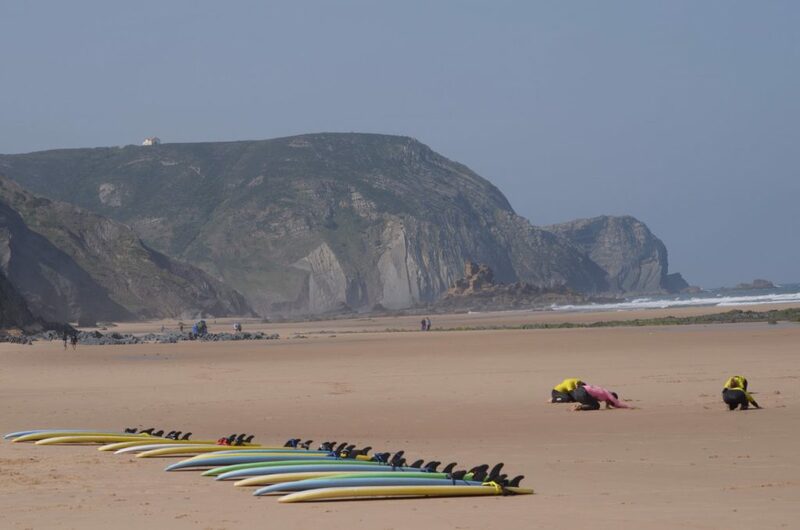 During this surf&yoga holidays you will have a full surf course with surf classes everyday on the most wonderful beaches of the Algarve Portugal. 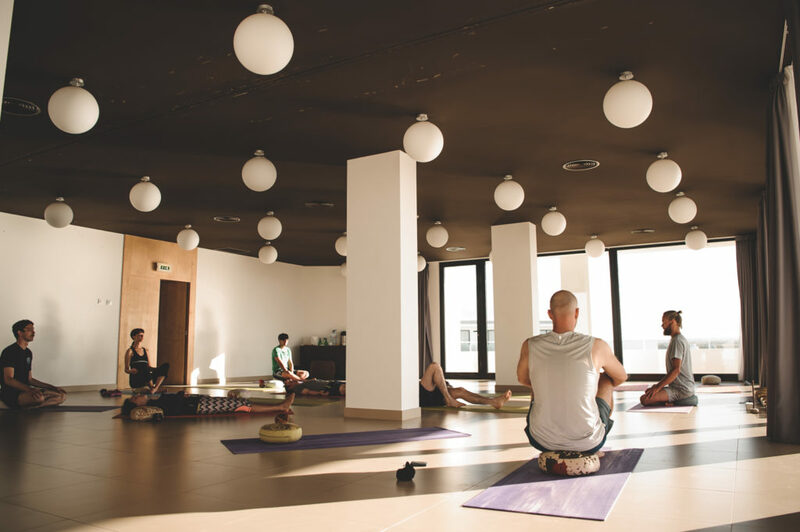 If you are looking for an active holiday where you are going to learn to Surf with the benefits of a Yoga session every morning, this is the perfect holiday for you! From July to September we organise together with Memmo Baleeira Hotel Yoga and Surf sessions every day! During the rest of the year, October, November, April, May and June we also offer Surf, Yoga and hiking retreats and special weeks with Surf Yoga and SUP!! You can book the accommodation directly with Memmo Baleeira hotel or other accommodation of your preference and we take care of the rest! For more info please contact us at info@frsurf.com. Describe the level of experience for everyone in your group. --Please Select--1 person, shared room + shared bathroom €765 pp2 persons, double room + private bathroom €899 pp-I need more then 1 room. Enter the details in the "Additional info"